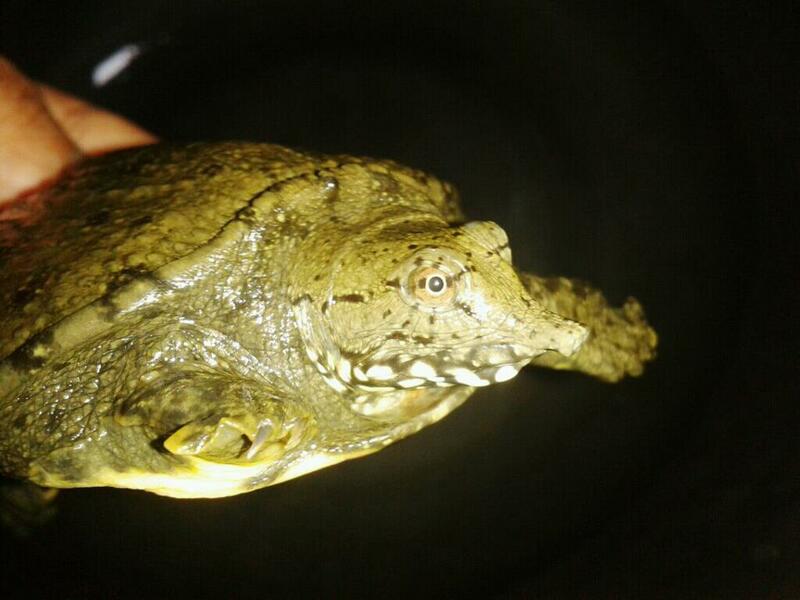 Labi-labi china (local name) or Chinese soft-shell (Pelodiscus sinensis) turtle has a oval carapace without scutes. It is smooth and leathery in adults, while juveniles have rows of small bumps along the back. The plastron in adults is cream, grey or yellow with no patterns, while juveniles have pinkish-red plastrons with black blotches. The body is olive to greyish-green and are unpatterned in adults, with light spots and fine radiating black lines around the eyes in juveniles. It grows to 25 cm long. 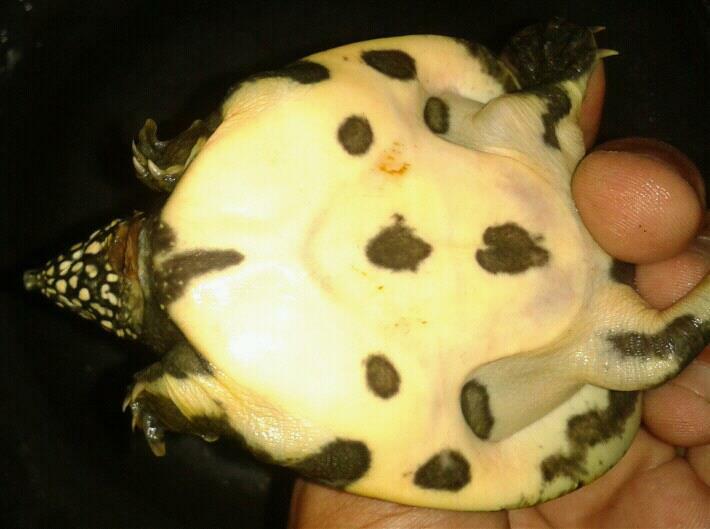 This freshwater turtle is non native to Indonesia. Spread to Indonesia estimated about 1970 when imported to meet the local demand for consumption. High demand make local businnes owner tried to breed it. But, due to the decreasing in local demand make this was lost profit and could not continue. Then, the business could not manage the ponds (in hectares). Thousands individuals of this species spread to rivers in City of Medan and now spread anywhere become invasive. 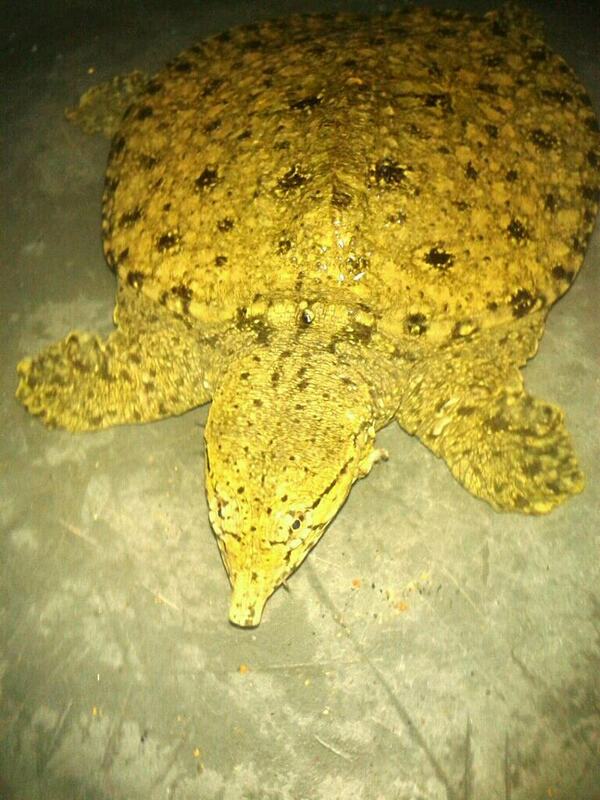 The Chinese Softshell Turtle inhabits freshwater habitats including ponds, marshes and rivers. It usually stays buried in the substrate to ambush its prey and is rarely seen basking. It feeds on small invertebrates including mussels and insects. Oviparous; clutches comprise of 9–28 eggs and incubation takes about 40–80 days.